Christmas is near! I didn’t realize that until I sat down in MOF Japanese Cafe and they gave us extra menu, Christmas Yokoso. A limited menu only from November 2nd to December 27th. This is terrible.. they look very appealing! Made me want to order one of them. I put the dessert menu aside. Let’s order main course first. That was our reason to go to MOF. This is my small meal. 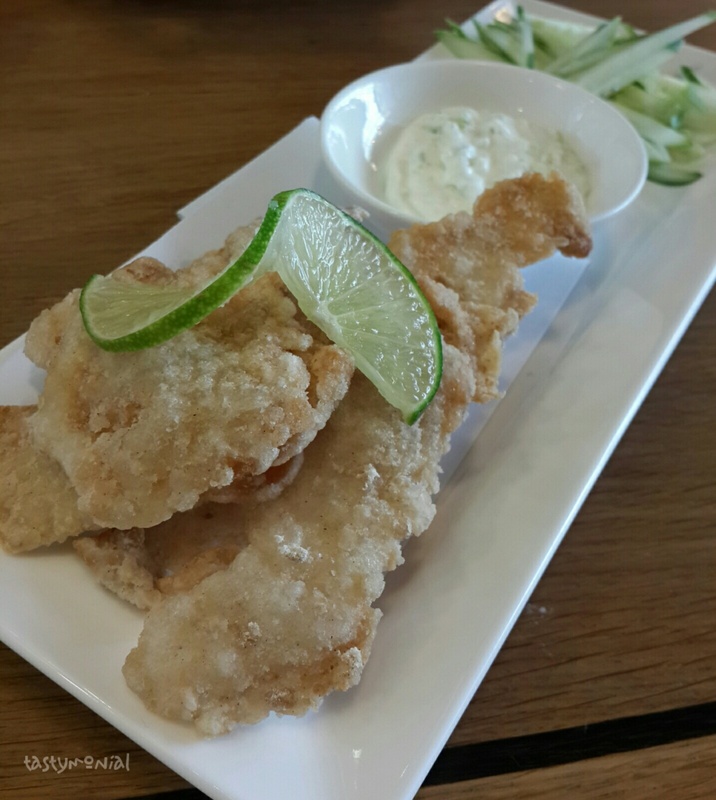 A fish chips (nope, it’s not fish and chips). This one is good, crunchy and just a little salty. Appropriate seasoning. Dip it in some kind of cheese sauce. Yummy~ I can eat more of these. Next was time to pick and choose our dessert. 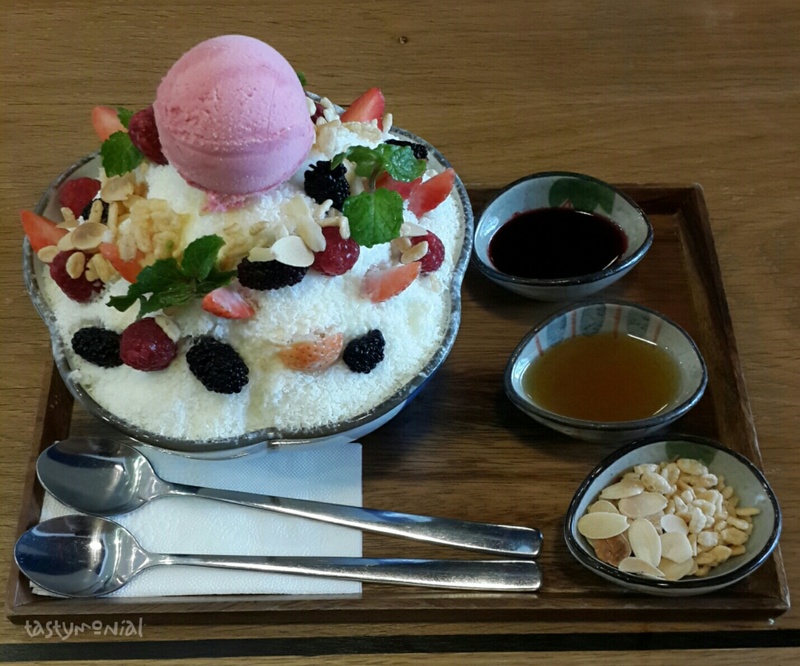 My husband wanted to try one of their best seller last year, Berry Yogurt Snow. We ordered that. Then he asked me if I want to order another dessert for myself. I said no. There are combo menus as well, consists of 2 kind of desserts. Interesting, but better not. Might be too full was what I thought. I made a right decision! This dessert was too big for 1 person (at least for me). The waiter came and explained how to eat it. We need to eat half of it then pour the sauce we like, then mix it altogether. There are 2 sauces, a raspberry sauce and maple syrup. There is also almond and rice crispy. It has 3 kind of berries, strawberries, raspberries and blackberries. The strawberries and raspberries are really sour, while the blackberries is bland. I couldn’t taste the yogurt, but I could taste milk on it. It’s rather disappointing given the appearance and its rank as best seller last year. Maybe other people likes it, but not me. There is another “best seller last year” item in Christmas dessert menu. I will try that on my next visit to MOF.